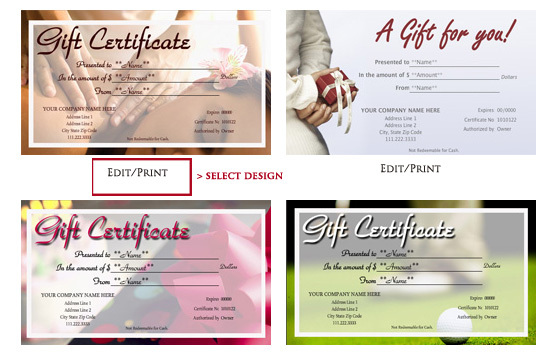 Quickly and easily personalize your Printable Gift Certificates. 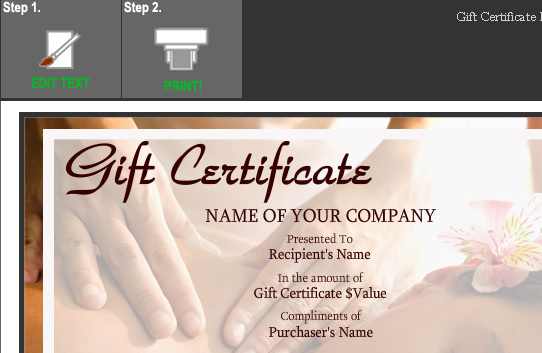 Select a Gift Certificate design from our template gallery. Below is a Quick Tour on how to get started. 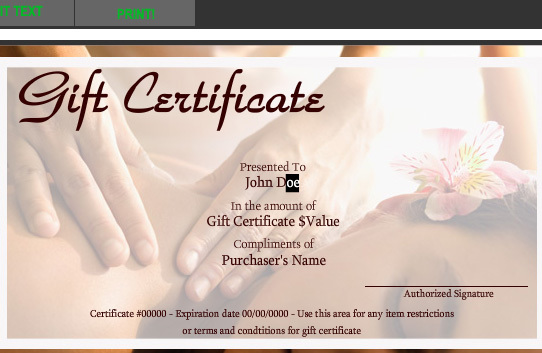 After you create your login, you have unlimited access to any Gift Certificate Design on the site. Begin by selecting the gift certificate design of your choice from our gallery. Select any text area to edit, remove or replace with your own text. And you're ready to print!! After making your changes, you can print your custom created gift certificate using your personal printer. START NOW!